MSE Creative Consulting Blog: Hurricane + Storm Surge Warning! 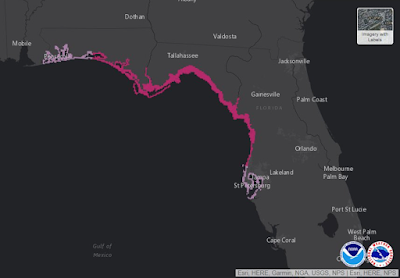 The magenta is the area where a life-threatening storm surge is likely to occur. This is also the area of the hurricane warning with sustained winds of 120 mph winds along the coast.